Disclosure: I was provided several of these experiences complimentary for purposes of review. We loved every minute of our Colorado family vacation! All opinions are my own. Thinking of planning a Colorado family vacation? Colorado has so many wonderful places to visit and so many adventures. Whether you’re planning weekend getaways in Colorado, or a full Colorado family vacation, keep reading. 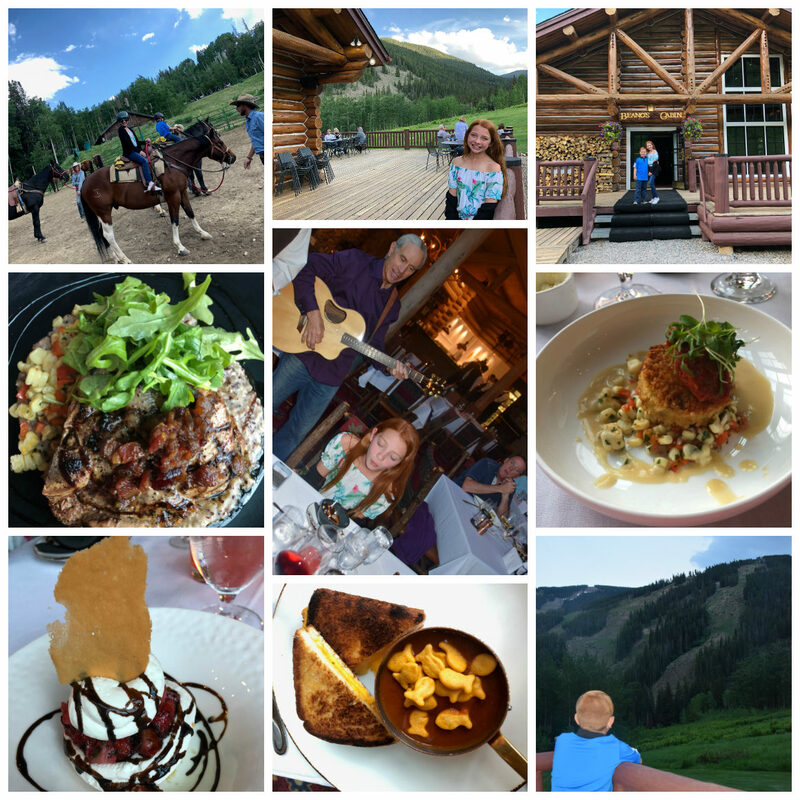 We’ve visited some of the best vacation spots in Colorado as a family. These are our five favorite reasons to visit Colorado in the Summer. In Buena Vista, Whitewater rafting is not to be missed at Browns Canyon Rafting. For our family’s first rafting adventure, this was perfect! 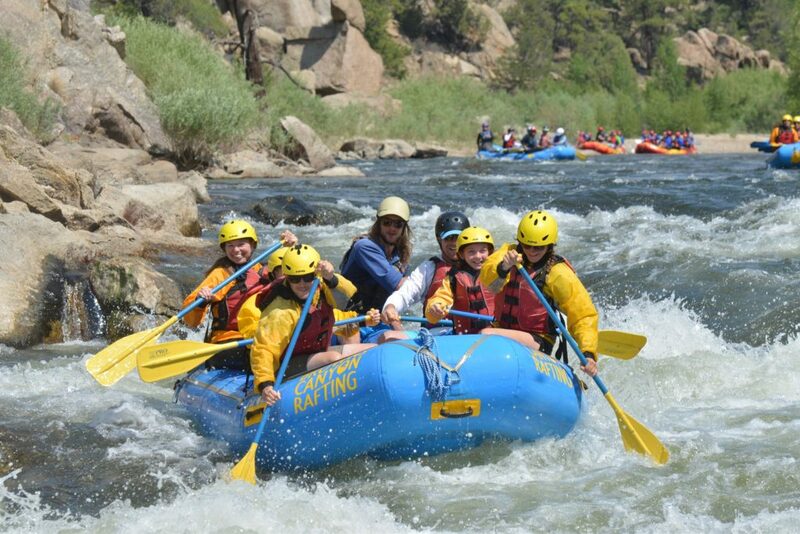 The guides were awesome and we enjoyed the half-day rafting trip on the Arkansas River on Class II and III rapids. Of course, there are more advanced rafting experiences if that is what you are looking for. We made sure to get the wet suits to keep us warm. Colorado whitewater rafting was a highlight of our Colorado family vacation that my kids are still talking about! There is nothing standard about Mountain Standard in Vail Village. It is right on the creek and has great indoor/outdoor dining. The views are great, but the food is even better. My kids tasted the appetizers we ordered and tried new things because the presentation and combinations were so enticing! For starters, the fava bean toast (cooked over the signature wood fire) with mozzarella and pistachios stood out with fresh summer flavors. The kids and adults were fighting over the last bites of the pimento cheese with bacon jam and pickled celery (which our awesome server pointed out so we didn’t miss the flavor combination). And we all tried the Standard wedge salad made with crispy prosciutto, puffed faro and avocado. For the entrees, the pork shank was fall-off-the-bone amazing. It is smoked for over 24 hours and served with delicious gruyere mashed potatoes. I loved the delicate Rocky Mountain trout. Of course, we had to save room for dessert and I am so glad we did. Roasted banana bread pudding was our family’s favorite. I am pretty sure we would have licked the plate if we could. I can’t wait to try Sweet Basil, the sister restaurant, also in Vail Village, on our next visit. Epic Discovery on Vail Mountain was an epic family adventure! We did the zip line tour and it did not disappoint. There are seven lines in total, and two are a half-mile long. Paired with awesome guides, this is a winning family adventure! Make sure to buy the all-inclusive pass to enjoy the ropes course, bungee trampoline, summer tubing and mountain coaster. We ran out of time to enjoy all of the Vail summer activities, but the mountain coaster was a kid favorite! Even the little ones can ride with adults. Be sure to plan on lunch at the top of the mountain. The barbeque (paired with a well-deserved cold beer, of course) was fantastic! Estes Park: Touristy or a Must See? We decided to make this our first stop after landing in Denver. Our goal? 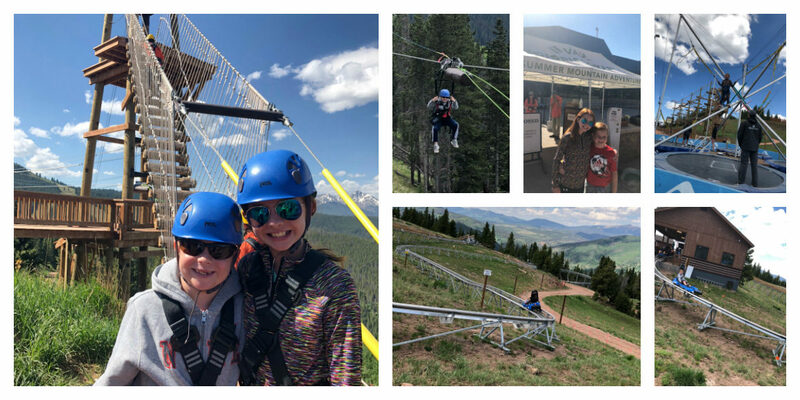 A family adventure on Trail Ridge Road, which spans Rocky Mountain National Park and connects Estes Park to the town of Grand Lake. 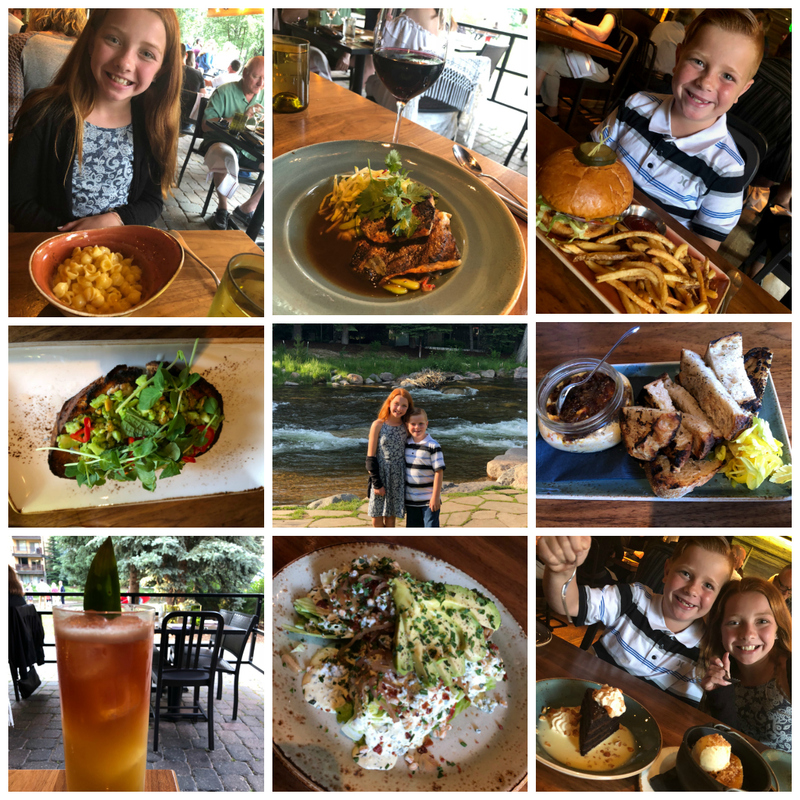 Before embarking on Trail Ridge Road, we enjoyed Estes Park with its cute shops and restaurants and the Estes Park Aerial Tramway. I am so glad we knew to visit this great family stop. Ride the tram to the top of Prospect Mountain to take in the amazing views. The next morning, we ventured along Trail Ridge Road.It’s the highest continuous paved road in the United States, reaching an elevation of 12,183 feet. We saw elk, deer and marmots and the scenery was unforgettable. Unique dining experiences always top my list when planning a fun trip with the kids. Beano’s Cabin in Beaver Creek is unforgettable! We chose to ride horses to dinner (how cool is that?) but you can also take the shuttle. The cabin is tucked into a meadow at the base of Larkspur Bowl on Beaver Creek Mountain. We loved the rustic feel. Adults were served a five-course meal and kids a three-course meal. There were choices in almost each course so everyone found dishes they loved! The kids’ food was made for kids but with a gourmet touch, using many locally sourced ingredients. My kids loved the mac n cheese and grilled cheese with tomato soup. The adult meals started with an amazing corn chowder. That was followed by two fantastic appetizers: the smoked salmon tartare and the crab cake appetizer. For our mains, we got the pork porterhouse with heirloom grits and the beef tenderloin with horseradish whipped potatoes. Again, almost out of room for dessert, but somehow we find room for S’more cake and strawberry shortcake that was light and delicious. Our attention was drawn from dessert when the guitarist who was entertaining us all evening came over to sing to my daughter for her birthday while delivering a brownie sundae! What a special place Beano’s Cabin is, with awesome food and an amazing atmosphere. And I am sure its magical in the winter when they offer sleigh rides to dinner. Maybe you will be lucky enough to see deer right outside the window like we did! There is so much to do in Colorado in the summer! What did we miss? What are your favorite Colorado family vacation spots? Planning a Colorado summer vacation? Pin this for later!